It is hard to write an article about climate change without being accused of scaremongering, because of the size and scale of the truly existential crisis that lies before us. The challenge is immense and the effects of it are starting to hit hard across the planet. 2017 has been another record-breaking year to follow multiple record-breaking years. In the U.S. alone in the first 9 months of 2017 has been hit by 15 different natural disasters that together caused more than $1bn damage, including record-breaking rainfall from Hurricane Harvey and the strongest-recorded intensity making landfall Hurricane Irma. This does not include the state of California which at the beginning of the U.S. winter is now aflame in some of the largest wildfires in the state’s history. In New Zealand as a result of the La Niňa phenomena, temperatures this December are reaching 6 -7 degrees Celsius above normal for this time of year, resulting in the spectre of drought for nearly all of the country. This heatwave is likely to continue throughout the summer and already we have water restrictions and crises in Wellington, Hawke’s Bay and Christchurch. Climate change is no longer some spectre haunting our future but rather hitting us right now. 13 forestry workers have died in work related accidents in the past 3 years, 30 in the last 6 years. Just to put this in perspective the death rate in the UK forestry industry is 10.4 per 100,000 workers and in NZ 343 per 100,000. Some bosses blame workers drug use and call for increased drug testing but there no amount of excuses can justify this outrageous number of fatalities. We need explanations, and the forestry bosses need to be held to account for all these needless deaths. 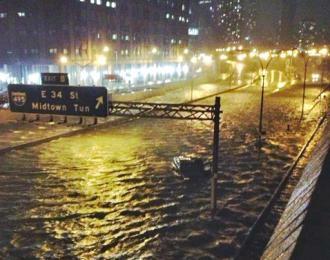 Chris Williams, author of Ecology and Socialism: Solutions to Capitalist Ecological Crisis, examines the man-made factors contributing to the disaster of Hurricane Sandy. It’s apparent to everyone today that the world is going through an ecological crisis. Wilderness is disappearing fast as whole ecosystems – from forests to grasslands to marshlands – are becoming endangered. 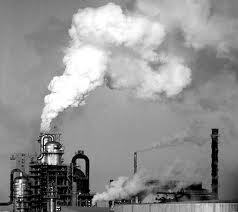 For the past two centuries, factories have spewed forth pollution into the atmosphere, poisoning the very air we breathe while lakes, rivers and even the ocean have been transformed into festering sludge-pits. So much has the earth been altered that even its chemistry is changing, the build-up of carbon dioxide threatening the delicate climatic balance of the past 11,000 years is acidifying the ocean and wrecking havoc with the weather. One could be forgiven for concluding that humankind is nothing but “a cancer on the earth”. Overpopulation is a common theme when discussing environmental destruction. It’s undoubtedly true that since the 1960s an ecological crisis has emerged causing loss of biodiversity, plunging fish stocks, deforestation, and dangerous climate change.. Coincidentally since this time the global population has doubled. It might seem logical therefore to link the two. 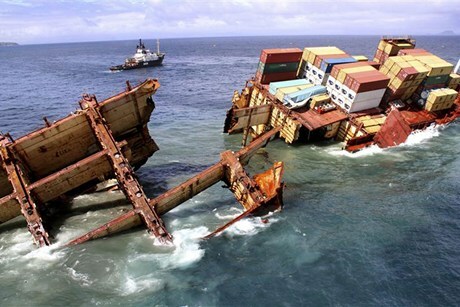 Friday the 5th of October marked one year since the container ship MV Rena struck an artificial reef off the coast of Tauranga as it headed into port, triggering New Zealand’s worst ever environmental disaster. The clean-up that followed took months, and is still not complete: the Rena remains grounded on the Astrolabe Reef and oil from the ship still occasionally washes up on Bay of Plenty beaches. Media attention for much of the past year has vilified the ship’s captains and whipped up racism aimed at the Filipino crew. John Key is engaging in a bout of populist moralising, describing killing whales as ‘abhorrent’ in response to South Korea’s indication that they may resume whaling. The hypocrisy is staggering – this same week National has announced further concessions to New Zealand’s dirty and polluting farming industry. 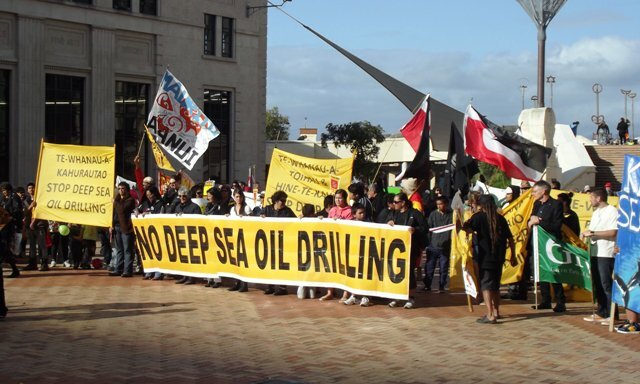 If the concept of killing whales is ‘abhorrent’, what about farming practices that contribute to the loss of ecosystems that threaten endangered species in New Zealand? Since it is largely Pakeha capitalists in New Zealand that reap the profits farming they do not criticise.